The goal of this tour is for you to discover all the aspects of Chablis wine: the vineyards and its history, a prestigious negociant, a small producer and a tasting in one of the best cooperatives of France. Have fun! Chablis, halfway between Paris and Beaune, forms the real gateway to Burgundy’s treasure‐house of wines. The vineyards, lying on both sides of the River Serein, cover 6,800 hectares (some 17,000 acres) in 20 villages and produce one of the most popular white wines in the world: Chablis famed for its classic dry and mineral taste, 100% Chardonnay. Your Licensed English-Speaking Guide will pick you up from your hotel or apartment in Paris at 7.00 am in a deluxe, private vehicle. He is also a Professional Sommelier graduated from the French Wine University. During this tour you will enjoy the advice of a wine expert and share unforgettable moments with him (our experienced wine consultant works with top quality wine growers and will teach you the main basis for a Chablis tasting). Only 1 hour and 45 minutes south of Paris, your guide will drive you far from the main roads. Your day will begin with a stop in the middle of the vineyards where your guide will explain to you about terroir, geography and grape varieties. 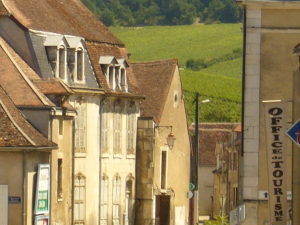 Enjoy a panoramic view of the Village of Chablis in the middle of the Grand Crus. The vineyards of Chablis are among the oldest in France. 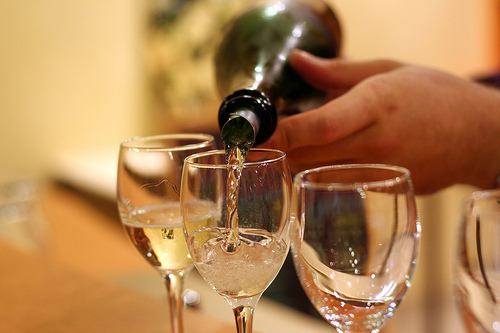 Through the centuries and the world over, Chablis’ white wines have acquired extraordinary renown. Following this, a private, guided visit in a small and exclusive local wine producer (Billaud Simon, Louis Michel & Fils, Château Long Depaquit or similar) will help you appreciate all the stages of making Chablis wines, from vinification to labelling the bottles. On this tour you will discover all the techniques, methods and savoir‐faire for the production of Chablis, and you will taste the 4 appellations, all made from the prestigious Chardonnay grape: Petit Chablis, Chablis, Chablis 1er Cru and Chablis Grd Cru. After this first visit you will enjoy, before lunch, another tasting in a high-quality cooperative : La Chablisienne. With its 300 wine growers belonging to the cooperative, it represents 25% of the total Chablis production. La Chablisienne produces some thirty different-classed wines from across the appellation area, all marked with a strong personality: 6 Grands Crus with the renowned Château Grenouilles (Chablis’ legendary wine), 13 premiers Crus, Chablis and Petit Chablis. Time for a wonderful lunch, à la française, in a traditional restaurant in Chablis . In accordance with your wishes, we will make a booking at the best place. Our guide knows all the authentic and local restaurants far from the tourist crowds. After lunch, discover the medieval town of Chablis with its narrow streets and half‐timbered old houses. 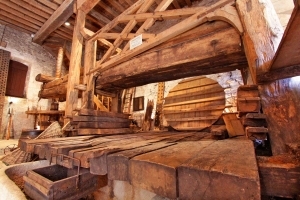 Following this, you will continue your tour with a third visit to one of the most prestigious negociants of Chablis (Domaine LAROCHE, Jean Marc BROCARD or William FEVRE) and you will discover the opposite of what you saw in the morning. 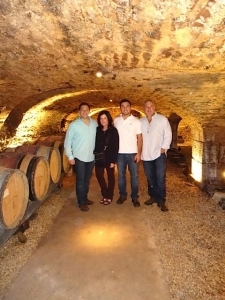 Enjoy a last tasting in the one of the biggest cellars of the region before heading back to Paris in the late afternoon where you will be dropped off at your hotel around 6:00pm. Cellar visits and lunch are not included in our rates and these can be paid on the day locally. (Menus are at 18 euros for lunch, per person, and a few euros for the tastings) Personal expenses, tips and gratuities are also not included.